Magicians Magazine - A complete Online blog about Magicians, Magic tricks and Mentalism. George Joseph Kresge is a well-known mentalist who became popular in the 1970’s. He goes by the stage name Kreskin or Amazing Kreskin. His inspiration to become a mentalist came from the famous comic strip by Lee Frank called Mandrake the Magician. Mentalist Kreskin does not claim to have any supernatural powers. He says he is just an entertainer and should not be regarded as psychic. He was born on January 12, 1935, in Montclair, New Jersey, the USA as George Joseph Kresge Jr.His parents were of polish and Italian Descent. Kreskin started a television series that aired in Canada on CTV from 1970 to 1975. The series was known as the Amazing World of Kreskin. In 1975, some additional episodes were produced in a series called The New Kreskin Show which was like a continuation of the previous series. He has appeared on many Television shows throughout his long career. He appeared 81 times on the tonight show between 1970 and1980.He also made several appearances in the 1980’s and ‘90s on Howard Stern Show and Late Night with David Letterman. Kreskin became the first person to appear 3 times on the Late Night with Jimmy Fallon. Kreskin also works as a teacher for some law enforcement agencies where he teaches psychology. Mentalist Kreskin is still an active performer even at 82 years and he appears annually on CNN and Fox News Channel and regularly on WPIX in New York City. Kreskin’s net worth is continuing to grow each and every year. His net worth is believed to be at over 2 million dollars. He owns private planes, yachts, and luxury goods. He also has several properties in the United States and has invested in stock market. His source of income is mainly from his shows that he performs even at his age, mostly in the United States. Kreskin has also20 published books and sold thousands of copies worldwide. 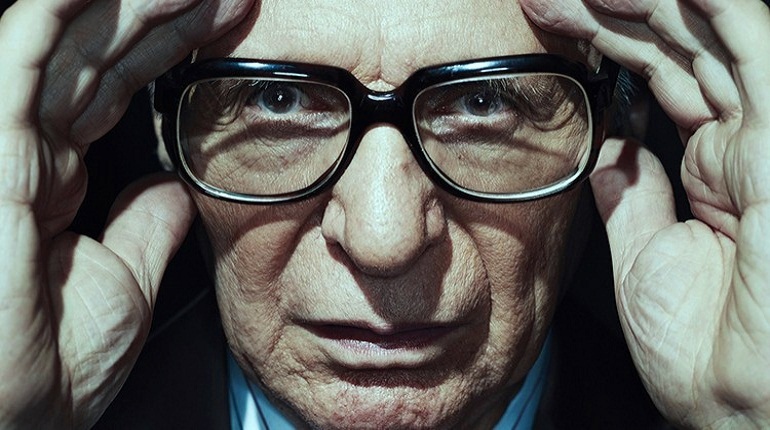 At least two movies have touched on Kreskin’s life. He also made two television series between the years 1970 and 1975. In this book, mentalist Kreskin talks about human potential. He talks of conditioning the mind and the body in order to achieve what others deem impossible. He goes ahead to reveal how people can utilize their mental abilities to achieve what others see as telepathy or clairvoyance. In this book, he explains how readers can heighten awareness, make educated guesses among other abilities. This is a great book, check it out. The great Kreskin was a favorite guest. Johnny Carson. Johnny Carson was always intrigued by his magic. At one time, he managed to transform Johnny Carson into a rigid state in the Tonight Show he also got a singer by the name Bette Midler to sit on him while his body was stretched between two chairs. There was no sagging and neither did he feel any pain. He came to be known as ‘The Amazing Kreskin’ because of Johnny Carson. Johnny would converse with Ed McMahon on their show and discuss how amazing Kreskin was. Because of this, the word ‘Amazing Kreskin’ was born. The Amazing Kreskin real name is George Joseph Kresge. He was born in 1935 to polish and Italian parents. At just16 years old, he was named the youngest Hypnotist by the New York Times. He has appeared in television shows more than 500 times.Kreskin became the first person to be featured on the Late Night with Jimmy Fallon in 2009. 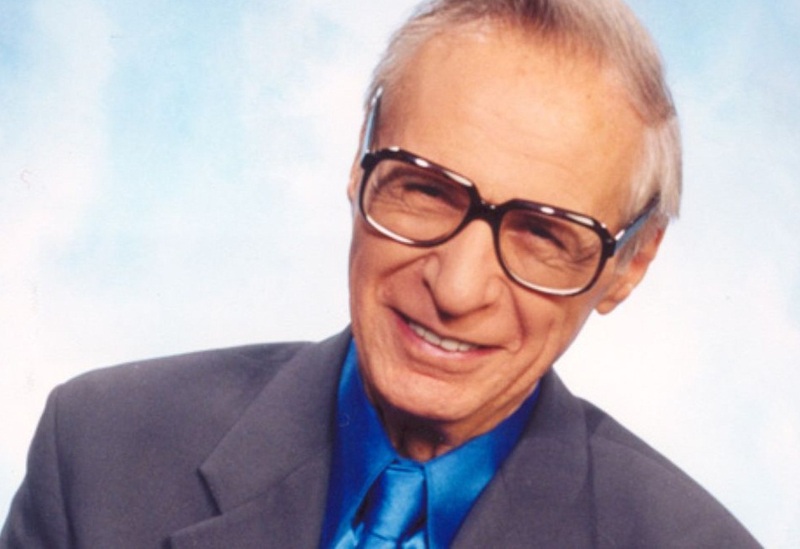 Amazing Kreskin does not like being regarded as a psychic but rather as an entertainer. He has written a total of eight books. Despite his age, Kreskin still performs on stage and also appears on TV once in a while.Kreskin made a prediction in 2009, that there would be a mass UFO sighting in Las Vegas which was never to be. He also sends some numbers which he tells the subscribers if used in the right way, they can solve any problem they can think of. To receive these alerts, you have to pay a certain fee and most people think that this is actually a way to con people of their money. In 2009, he made a prediction that there would be a mass UFO sighting in Las Vegas. He promised to give 50,000 to charity if his prediction was wrong. On that day, people camped outside to witness the sighting which was never to be. However, when he was asked about the 50,000 dollars, he said that some sightings of glowing green orbs were made and hence he would not donate the money. Kreskin also predicted the Super Bowl XLVII. He predicted seahawks would win 43-9. He missed by a point because the correct score was 43-8. On the same game, he also predicted that a certain M. Smith would perform really well and be honored after the match. He was correct because a player by the name Malcolm Smith was later named MVP. In 2012, he also made the following predictions which became true; more people will own guns, Crime will increase nationwide, Technology will be used to access everything about people’s lives, Teachers will be given more authority in schools. I think the most notable and recent prediction that Kreskin made is about Donald J Trump. In the year 2015, Kreskin stopped by FOX 5 where he predicted the 45th president of the United States. At that time, President Trump was not even a nominee in GOP. He did not directly mention Trump’s name, but everything that he said seemed to point only to Trump. He gave this clue; “I’ve been in his house, the one that’s been shouting all over.” When he said this, who do you think this pointed to? One year later, Donald J trump is the 45th president of the free world, Isn’t that amazing? World famous mentalist, The Amazing Kreskin with over 6 decades of predicting and entertaining his fans has something for you in 2017.Kreskin was speaking to Tony sweet of Truth be told TV, world renown astrologer Rachel Lang, and Captain Ron when he made this prediction. Kreskin’s prediction for 2017 touches on the movie industry. He talks about how the movie industry is deteriorating each and every day. Why? In earlier years, movies that were less than one hour and a half did quite well in the industry. They were able to give the whole captivating story in that little time and still leave a positive impact on the viewers. But in this day and age, movie trailers have become as long as 30 whole minutes. Most of the movies of today are over two hours long. This is the reason most movie makers are ditching movies for Television Shows. This is very true because more Television series are being launched each and every day, more than even movies. So what is his prediction? The amazing Kreskin or the mentalist Kreskin has predicted that something or someone will come out to save the movie industries. He does not really specify that it must happen in 2017 but it will eventually happen and when it does the good old days will be revisited. What we have to do now is wait because the godfather of mentalism has spoken. Is David Blaine Fake or Real? 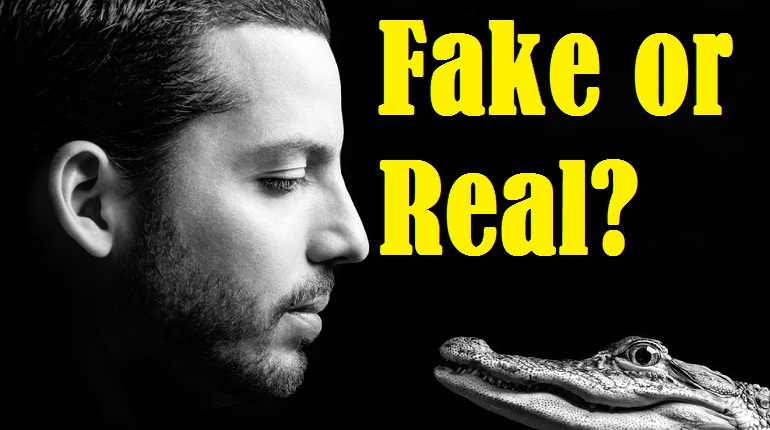 Is David Blaine fake or real? This question has quite taken a spot in the magic world. But before I reveal the truth lets do a short background check on this guy, shall we? David Blaine is and will remain to be one of the best magicians to ever walk on this earth. Why? There is no knowing what he will do next. This is a guy who has performed magic tricks on the streets and on famous celebrities from all over the world. He even did a magic trick on the president of United States of America at that time, George Bush. David Blaine is also a favorite to many because not only does he perform tricks but he also does endurance feats on his body. David Blaine is a guy who is in the Guinness book of records for enduring under water for a whole 17 minutes and 4 seconds. That is not the only endurance he has performed, others are like being buried alive and being frozen in ice. He has also transformed his stomach into an aquarium by swallowing frogs and regurgitating them alive. Who does that? However, you can’t succeed in being a magician without using a trick here and there. Blaine has performed many tricks especially card tricks that are really awesome. What amazes everyone including myself is his capability to read people’s minds. For this, you can also call him a mentalist like what he did on Jimmy Fallon; He studied his body language and would tell what card was on Jimmy’s mind. That was very impressive. Why is he so successful? Blaine is not your ordinary magician. He puts a lot of hard work to achieve his goals. Before he entered in the Guinness book of record for enduring in water for a long time, he had tried it so many times. He almost even drowned when attempting to break that record. So, this is a guy that does not give up. He is always pushing his body to the limit. Like when he pushed a needle through his arm in the presence of Ricky Gervais. That was very disturbing to look at, but he looked so calm and collected. For him to achieve that, he must have endured a lot of pain. That shows how dedicated he really is to become and remain the best. So, seriously, is David Blaine Fake or real?, that I will let you decide. This is a person who does some amazing magic tricks and does some other extreme things without any form of trickery. 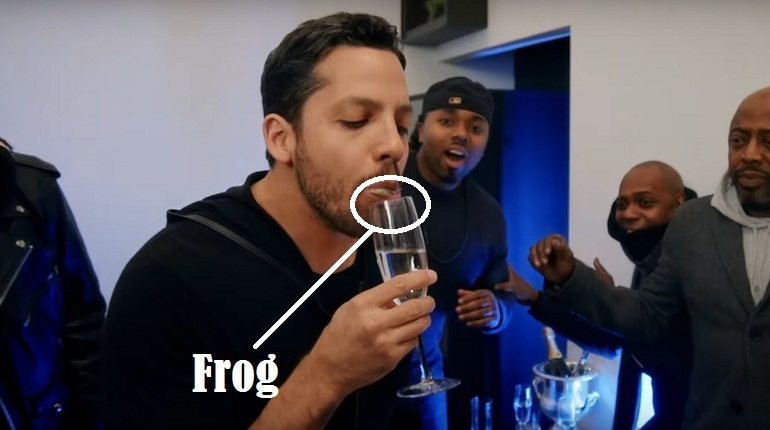 Frog Trick: How did David Blaine made a Frog appear from his Mouth? Secret Explained. This is an amazing trick that Blaine performed on Drake, Dave Chappelle, Steph Curry and other spectators. Before performing this trick he sometimes asks the spectators to confirm that nothing is in his mouth. Blaine then drinks some water and what happens next is very shocking. He starts to remove live frogs from his mouth, yes, live frogs! Not only does he get a frog from his stomach but he also swallows it back. Everyone is shocked. You can look into all videos frame by frame to find where the trick is but you will not find any. Blaine swallows live frogs and regurgitates them alive. So, this is not a trick but an actual real performance. How he regurgitates the frogs, only he can tell us. You might be interested to know that he is not the first person or magician to do this. About 100 years ago, there was a person who called himself the human aquarium. This guy would swallow up to a dozen different types of animals and then regurgitate them one by one, alive. Blaine does the same thing, it’s not clear whether the frogs go down to the stomach or they are somewhere along the esophagus. But one thing is clear; the frogs are not comfortable inside the human body because of the high temperatures and gastric acid inside the stomach. This is why they are easily regurgitated. So if you are interested in removing frogs from your mouth, unfortunately for you, you have to really swallow them. As for David Blaine, I sincerely hope that in future he doesn’t swallow or regurgitate any kind of animal. It’s so disturbing. David Blaine Bullet Catch Secrete Revealed. In this trick, David Blaine wants to show everyone that he can stop a bullet with his mouth. Not just any bullet, but a bullet from a 22 caliber rifle. Have you heard of magicians who died trying to stop a bullet with their teeth? I can mention some, but that is a story for another day. Well, Blaine decides to be a little cautious by using a mouth guard and a steel cup in his mouth. That’s the way to go Blaine!All this is done in a studio which is well lit with high-end cameras and TV producers to capture all the action in the best way possible. The shooter is a close friend to Blaine and also a magician. Blaine lets the other magician shoot the steel cup which he is holding in his hand to test the impact of the bullet. Even after feeling the impact, he still decides to carry on. He then positions himself in front of the rifle and cameras ready to take the bullet, Both Blaine and the shooter are asked if they are ready and they both give the signal to carry on. The shooter takes the shot and we see it hit the steel cup producing some smoke. The crowd cheers and we are all relieved that nothing bad happened. Is Blaine Crazy enough to let anyone shoot a bullet in his mouth? Of course not, In this day and age, Blaine knows all too well that the same effect can be achieved by clever video editing. There is no way he can risk his life in such a manner. His producers also cannot let him do that. So how does he actually perform this trick? As I said earlier, we live in a world of clever editing and gimmicking, just as we see in the movies. Blaine uses exactly that to perform this trick. First of all, two videos were shot. When Blaine is standing in front of the rifle, no gun was fired; the sound was artificially created while the bullet we see is from another video recording. The cup in his mouth is somehow special in such a way it produces some sort of smoke when triggered, maybe remotely. The cup also vibrates to create the effect of the bullet hitting its target. So, how about the slow motion videos? Trust me that was the work of some experienced video editors. Something is shot into Blaine’s mouth but rest assured it wasn’t a bullet. Whatever it was, the editors did a pretty good job to make us believe it was a bullet but I promise you it posed no danger to David Blaine. In this coin bite trick, Blaine performs on the street to some random strangers. He asks one of the spectators to hand him a quarter. He then takes the quarter and bites part of it off. He talks about making metal consistency before taking the bite. The trick does not end there because he mysteriously spits back the other half back in place. The spectators are amazed. So, how did he make the metal coin consistent? This is a very simple trick when you understand everything that is happening in the video. 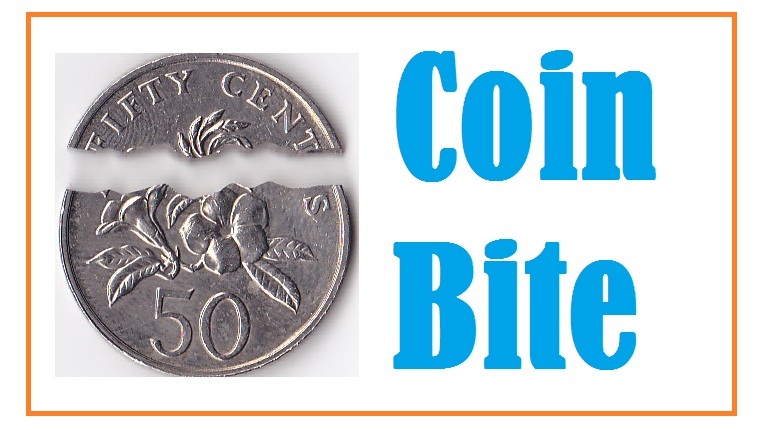 It’s obvious that no one can really bite off part of a quarter. So, now we know it’s a trick, but how did he pull it off? This trick involved a gimmicked coin. The gimmicked coin is already in two parts attached by some rubber bands so that it can fold and unfold. When the spectator hands him their coin, he cleverly swaps the real coin with the gimmicked one. Swapping items especially coins is a technique all magicians perfect with time.When Blaine pretends to bite the coin, he is actually folding the coin with his fingers. 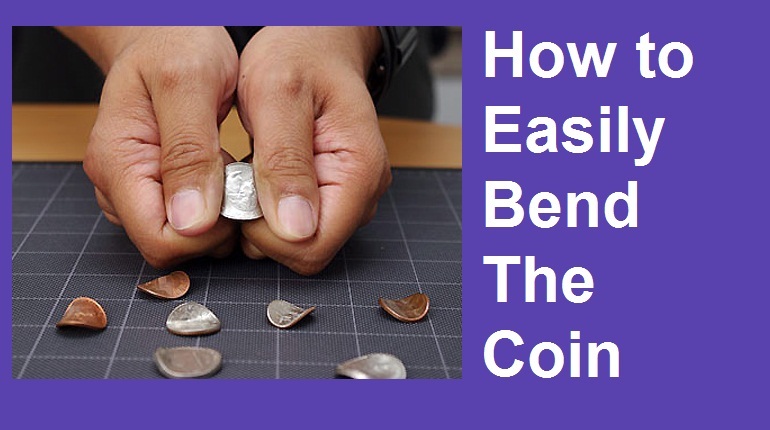 The next trick is making the coin whole again. Blaine seems to spit the other part of the coin back to its place but that is not the case, all he does is release the rubber band and the coin is restored. At this point, the spectators are very excited and when he swaps the coin with the real one, no one is in a position to notice. He then hands back the coin he had borrowed and it’s just as he had received it. In this tricks, he asks Tyra to pick any card from his deck of cards. Tyra chooses the two of spades which she shows us. Blaine doesn’t know the card she picked. He then attempts to guess which card it was. He tells her it’s the ace but we both know she had chosen two of spades. To make up for that mistake, he tears the Ace and gives her the torn pieces to hold on to. He then asks her which card she had picked. He then searches through the cards and gets the two of spades. He then places it on top of the deck. After doing this, he then mysteriously changes the two of spades and now the top card is the aces. Unbelievably, after Tyra looks at the torn two aces, it mysteriously had changed to her two of spades. She is dumbfounded. Blaine does not stop there; he takes the torn pieces of the Ace card and shows it to the audience. He then gives the pieces back to Tyra and tells her to squeeze them together tightly. After opening up her hands, she is shocked to find out that the torn card is now whole again. First, Blaine forced the two of spades card on Tyra by using a technique called classic force. So, he already knew the card she picked. He also had another two of spades card on the top of the deck and the aces right under it. Blaine pretends to search for the card Tyra had picked by double lifting the top two cards and showing her that he had made a mistake and chosen the wrong card. When he returns the cards back and tears the top card, he is actually tearing the two of spades. But Tyra thought the top card was the ace but instead she is holding a torn two of spades. He then shows her the top card is two of spades and then uses the shapeshifter sleight of hand technique to bring the aces on top. Tyra is then asked to check her card and to her amazement, it’s the two of spades. He then takes the torn two of spades to show the audience, if you look closely you will see the hand that took the torn two of spades is not the same that gives Tyra back the torn card. Blaine has already swapped the torn card with the two of spades. So when Tyra squeezes the torn card and opens her hand, she is shocked to find that the card on her hand is not torn into pieces but a whole card. 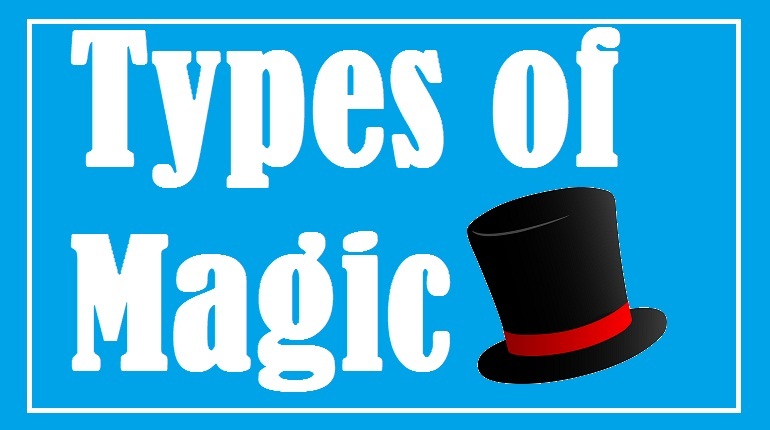 Types of Magic: From Simple to advance, Here’s a list of 10 Types of magic. There are numerous forms of magic in the world today, but some forms, stand out more than others. Here is a rundown ten of the best types of magic around the world. There are many types of magic out there but all magicians will agree that mentalism is one of the best types. This is a completely mind blowing type of trick, and as the title suggests, it is all about the mind. 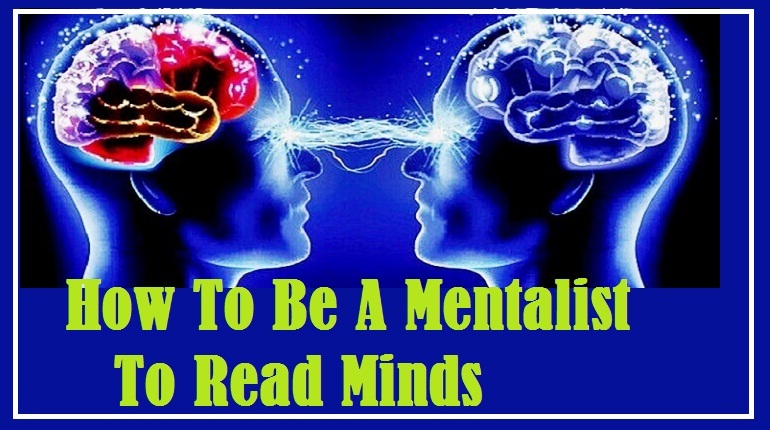 Mentalism performers are known as mentalists and this magic form basically exposes the highly developed mental skills of mentalists getting into the minds of volunteers. Methods used include; telepathy, divination, hypnosis, clairvoyance, mind control, psycho kinesis and precognition. This magic form has also been widely used by psychics and mediums. This has been used by many legendary names in the field including; Uri Geller, Keith Barry, Derren Brown, and James Randi. Arcane has been used for thousands of years, but its notable performers include ancient Chinese sorcerers and famous wizards. Sleight of hand is one of the most common Types of magic in the world. It is also referred to as legerdemain or prestidigitation. This type of magic requires extremely perfect hand motions and trickery. It is all about using your hands to manipulate and trick. Very fast movements are needed to be able to hide objects, retrieve them and basically, fool everyone around you. Even though some quarters claim that sleight of hand is not a type of magic, some other quarters vehemently support Sleight of hand as a form of magic. This is because sleight of hand cannot be separated from most magicians’ acts. This is especially true for professional magicians who incorporate numerous acts in their shows. Famous magicians who regularly use sleight of hand. Sleight of hand technique has been used by some notable magicians like David Copperfield, Dai Vernon, Ricky Jay, Dan and Dave and Tony Syldini. This is one of the rare types of magic that incorporates mentalism and sleight of hand tricks. What makes this form unique is that it allows for uniqueness, creativity and close interaction with the audience members. For roving magic to work, there has to be a large setting like a restaurant or any social setting where the performer can freely walk about and interact with members of the audience. The acts are really close up and sometimes, it is the audience who actually contribute to about 80% of the trick thanks to their involvement. This really helps to kill boredom and break the ice between guests while they are in between events. This type of magic is most suitable for children shows and birthdays, corporate events and other social functions. This is one of the most common types of magic these days. Utility and Prop magic have been used widely all over the world by modern magicians especially in their shows. This basically involves a set or stage that has utilities and props already set up for the show. There are hundreds of thousands utilities and props out there that are used by world class magicians. The secret behind props is just that, a secret. The audience member will never get to know how it works and sometimes, will never get to see the actual utility itself during the show. Some of the most famous utilities and props include; Loops, sponge balls, the famous, business card production wallet and many others. Some props can be very big depending on the nature of the act. Some of the most famous names which have used props and utilities include; Criss Angel, Mike Super, Harry Houdini and others. Elemental magic is another ancient types of magic that is really powerful. It takes years of practice and discipline to finally master this form. 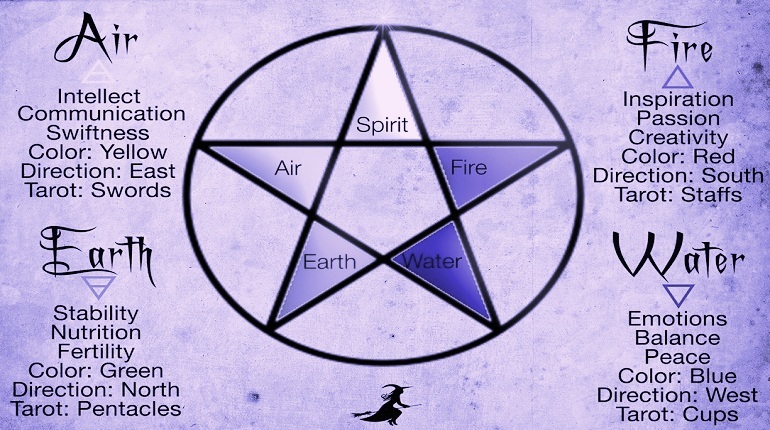 This type of magic involves the complete control and use of the four main forces of the earth; fire, water, earth and air. This is not the stuff of movies. It actually happens. Over years of practice, some master magicians have been able to completely master this art. It must, however, be noted that only a handful individuals in the entire world have managed to perfect this art. There are even some masters of time, which is just phenomenal. These people can manipulate these forces to their bidding and command them to work to their gain. Sophie Newman, Marethyu, and Gilgamesh the King. Levitation is one of the most fascinating types of magic tricks out there. Everyone is a slave to its awe and plain phenomenon. Levitation has been used since the ancient magical era and it has never failed to capture the imagination of any audience. The laws of physics state that it is possible for something or some object to levitate in mid-air, so long as there is another unseen force holding it e.g. a magnetic force. The laws of magic are a bit different, for levitation to occur, a magician will have to use his magical powers to make levitation happen. There are many variations of the trick; some magicians choose to levitate themselves in a floating motion while others will levitate an object or someone else. Famous magicians who have made levitation happen includes; Criss Angel, David Copperfield and David Blaine. Just as the name suggests, in traditional magic the performer is more concerned about maintaining and conserving the traditional form of illusion. In this regard, the act here is all about the traditional stage performances, with not so complicated skills, and a rousing audience. The stage is the biggest aspect of Traditional magic and most traditional magicians observe that without the stage, there is no magic. There are no elaborate stunts here, or expensive sets, just a magician of the old code; one who can stand on stage, with his wand, a long coat, or a box full of tricks and dazzle the audience. Although this is where all tricks began, magic has since moved on to incorporate large stunts that are very expensive. The modern magician is also keen on effects and performance. Some of the biggest names associated with traditional magic forms include; Derek Hughes and others. It is safe to say that card tricks are the most widely performed form of magic tricks out there. In these types of magic, effects that are not real are created by use of sleight of hand techniques and other magic methods. Since the mastery of this art takes a lot of time, it is very difficult for an audience member or volunteer to actually spot the techniques used in card tricks, especially if it is a professional magician who is performing. Some of the methods used in card tricks involve; Side slips, palming, lifts, jogs, false cuts, reverses and false shuffles. Almost all the great magicians are also card trick specialists and so the list here is endless. The great Houdini, David Blaine, Richard Turner and Ricky Jay are some of the well-known names in this field. Escapology is a very ancient Types of magic that has been there for many centuries. It has survived to the present day where it is being performed by many great modern day magicians. Escapology basically involves a magician who risks his life by having himself chained and completely bound in the most dangerous ways. He will then be confined in very difficult situations where he will be given just a few precious moments to save his life. Escape artists –as they are referred to – will usually be locked up in coffins, straitjackets, handcuffs, barrels etc. The most famous names to be associated with Escapology are Harry Houdini, David Blaine, and Criss Angel. These are some of the most famous types of magic in the world today. Some have been performed by some of the best magicians in the world and that’s why they’ve made it to the list. What is Mentalism and How does it differ from Magic Tricks? Mentalism can be described in many ways. One description refers to it as the magic of the mind and imagination. It can also be described as the demonstration of a high mental or intuitional ability. In psychology, it refers to a science that relies on perception and thought processing. Mentalism has also been described as the performance of hypnosis, telepathy, divination, psychokinesis, mediumship and rapid mathematics among other disciplines. The discipline is said to have originated from long ago with supernatural, spiritualists and psychics, whose roots dig deeper into the Greeks seers and oracles who were also mentioned in the Bible. Ask anyone who has experienced it first hand and they will tell you it works. Most mentalist will rely on observation to read behavior, or just knowledge to figure out your thought process. This is not an illusion but a discipline that when well researched will work for you too towards others. According to one of the mentalist, it works on everyone. 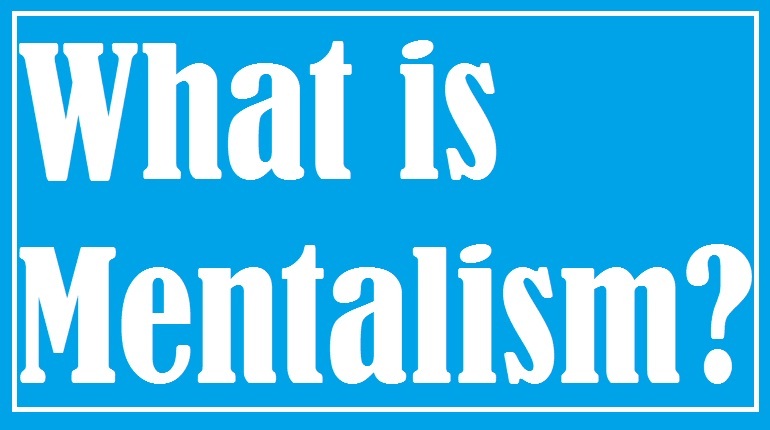 With an open mind, you can be part of the amazing art that is mentalism. All you have to do is watch. One can experience the discipline either as an active or passive audience. So how does mentalism work? So how does mentalism really work? Many would get a headache trying to answer the question ‘how does mentalism work. 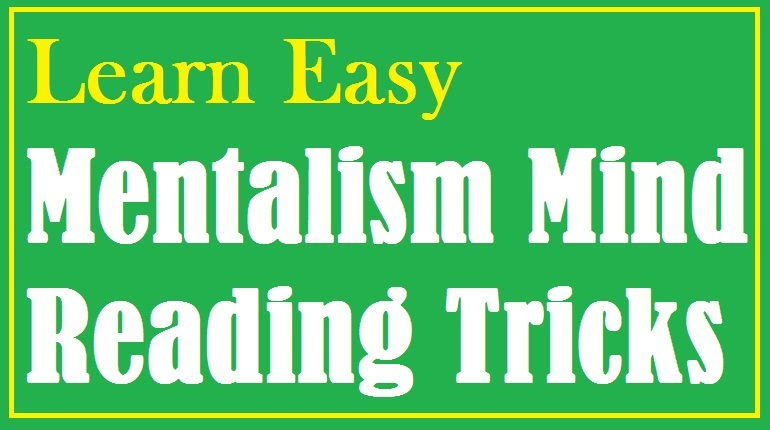 There are lots of emphases put in concentration for any mind reading trick to work. A famous mentalist says that the best tricks will work if the effect is prioritized above the method. To understand how mind reading works, we will have to attribute it to several effects. Mind conditioning and misdirection is one of the main factors. A good example of mind conditioning is illustrated in the movie focus where they ensure their target unconsciously sees the same number from morning until the time the act is performed. When asked to pick a number and keep it secret, they choose the number they were conditioned to. In an audience, misdirection is achieved when the mentalist illustrates or draws in the air what they want you to say or do, and you unconsciously take the hint. A good example of this is the circle and square trick. Another method used is fishing for information. One way this is done is that a general question that could apply to anybody is asked, or more specifically a personalized general question. With a room full of people it would not be hard, for example, to find someone who has gone through depression. The mentalist will then ask more general questions that are likely to apply to the subject narrowing them down, making them feel like they just got their mind read. Mentalists also recap past information. They will ask a question that will ensure you give additional unrelated personal information which they commit to memory. They will then use the earlier revealed information later to make you feel like your mind got read. Observation is another key feature used. A person with a distinguishing feature such as a scar on their face is a target. Through refined observation, a mind reader can estimate the age of a scar and spur a random observation such as someone got a hard hit to their head as a child. They further narrow down on the observation reading behavior, dressing, and general posture to tell more about you. 3 Powerful Mentalism Techniques that Prove that Mentalism Works. Triangle inside a circle trick. In this trick, the mentalist will first ensure they have your attention. They will then ask you to draw a shape, such as a square but not a square. While saying this, they will form the shape of a small triangle in their hand that just hardly noticeable but not too obvious. Next, they ask you to draw another shape around the one you just drew. Again, they will make a circular motion in the air to condition your mind into drawing a circle. The mentalist will then ask you to close your eyes and concentrate. Once you are done they ask you to look straight into their eyes and they give you your perceived drawing. The mentalist asks you to think of a card symbol and draw it on a mental screen. While doing this they form the shape of a diamond to illustrate a screen. Next, they ask you to think of a card number with a low symbol or single number and place it on the screen. During this period they make fast motions illustrating the letter three. They then show you a card and ask you if it is what you had in mind. The card will be of course 3 of diamonds. The 4 cards to pick trick. This is a card trick. The mentalist shuffles the deck and spreads them out upside down. They then ask you to pick a random specific card without looking and hand it to them. Once you do they look at it and place it face down. They do this for two more cards. The mentalist then chooses to pick the fourth card. They then pick up the cards and present them to you in the order asked. When the mentalist first shuffled the cards, they committed to memory the bottom card before spreading them out. That was the first card they requested for. After you pick the first card they look at it and ask for it next and so on. The last card they pick was the last one asked. They then pick up the cards before presenting them so that you cannot see they are in the wrong order. How is Mentalism Different From Magic? Different aspects of mentalism distinguish it from magic. One aspect is the kind of tricks performed. Magical tricks are more visual. With magic, there is needed for props and costumes, while mentalism requires a close up personal touch to work. Mentalism is meant to leave the audience questioning their belief, while magic to everyone is an illusion that we can all learn to perform. Thirteen steps to mentalism by Corinda. It provides an insider secret on how to perform various tricks for aspiring mentalist. The book covers almost every aspect of mentalism. Mind, myth, and magic by T.A Waters. It implores on the authors, life in mentalism. The book also shows 200 effects of bizarre magic and mind reading. The James Bond cold reading by Julian Moore. It contains principals to master cold reading and every tool you will need in mastering the art. What everybody is saying by Joe Navarro. The book explains the art of reading minds by reading people’s body language. The book will show you how to use verbal language to establish trust and command authority. Practical mental magic by Theodore Annemann. It implores on the most important tricks and categories in mentalism. I recommend this post if you want to know about more Mind reading books. Mentalism can be like a hobby. You do not necessarily have to attend a school or any formal education to learn it, as long as you got passion, you can learn it by yourself. It also gives you the choice of an additional professional or your main one if you may. One can choose to book gigs to perform in their leisure time for an extra buck. Perhaps you could also go professional perform on TV shows, live programs, write books or blogs and so on. The principals taught in mentalism promote confidence and will enable one to have a better social and private life. An additional benefit is manipulation. This is especially a good if you are a marketer. He was born on 12th January 1935. He prides himself as an entertainer. His best trick involves getting the audience to hide his paycheck when he is off stage. He then comes back and finds it. He was born on 27th February 1971. He is an English mentalist and illusionist. He has exposed people who claim to have supernatural abilities and the methods they use. He was born on 28th April 1892 and died on 9th March 1975. He claimed to be able to replicate the tricks that use spiritual phenomena. Jeff and TessaEvansons are a mentalist couple. 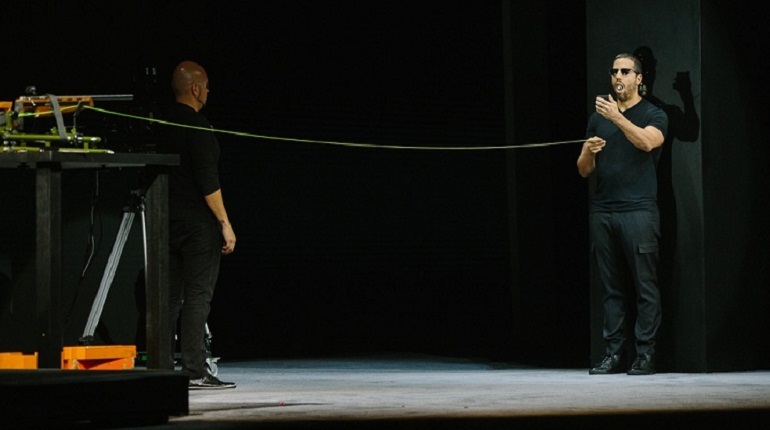 In their act, Tessa stands on the stage blindfolded. Jeff then goes around getting personal effects from people. She then guesses what the personal effect are and personal details about their owner. Keith was born on 2nd October of 1976. He is an Irish mentalist, hypnotist, a magician, and activist. His best act involved being tied to a chair in a tight sealed shed rigged to explode on a 2 minutes timer and was able to escape. This post has more list of famous mentalist in the history of mentalism. 3 mentalism tricks to play on friends. Get a friend to lie on the floor face down and have them completely relaxed. Then ask them to stretch their hands forward. Lift their arms to your waist level and hold them there for about 30-60 seconds. Now lower them slowly. They will feel like they are free falling and will mostly call out before reaching down. Write the word ‘carrot’ on a piece of paper and give it to your friend but ask them not to look. Ask them what 1+1 is, then 2+2 and so on until 8+8. Now ask them to name a vegetable. 90% of the people will name a carrot. Ask them to look at the piece of paper after they answer you. Ask your friend to think of one finger on their hand and commit it to memory. Next slightly press on each of their fingers on one hand. They will subconsciously give a little resistance on the finger they choose. For an added effect, you can place their hand on your head to avoid giving away your secret. 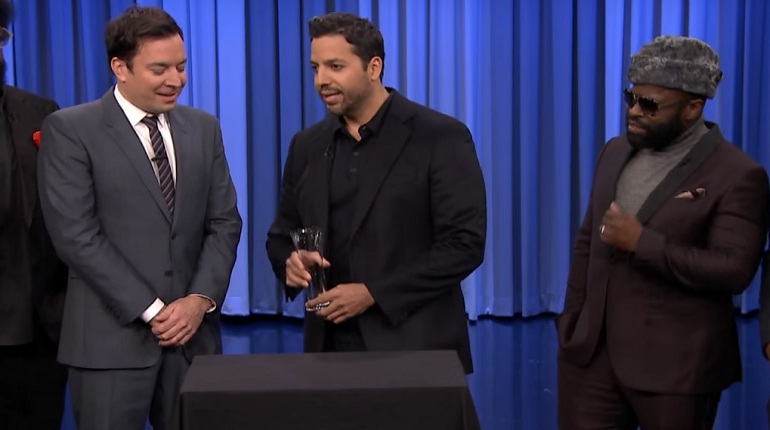 In this trick, David Blaine does one of his best tricks that left everyone shocked. He is seen sticking a very huge needle straight through his arm. He does this while Ricky Gervais is just a few inches from him. Furthermore, he does this very relaxed without any sign of pain or discomfort. We can tell for sure that Ricky was shaken by the whole performance and wants Blaine to stop hurting himself. Blaine pushes the needle until it can be seen coming out from the other side. Ricky is in disbelief and is cursing all the way through the performance. Blaine lets Ricky examine his arm closely before asking him to assist in pulling the needle out. Ricky then slowly pulls out the huge needle while in shock. After the whole performance, there is no scar or blood on Blaine’s arm and as he leaves Ricky, you can tell how shaken Ricky Gervais was. Blaine is a very dedicated magician and for that, he can go to extreme lengths to perform a trick. When he performed this trick, you can clearly see that no trickery was involved. Ricky was a just a few inches from him and witnessed the whole thing. So, did Blaine perform a real magic? Is there anything like real magic? There must be an explanation for all this. The explanation I have for you involves some medical condition which is very rare called Fistula. You can look it up and find out more about the condition. All in all, this condition allows you to push objects through your body without damage or even blood. There is a man who would get stabbed with swords without harming him, this man had this condition called fistula. I actually think that Blaine went to great lengths by inducing fistula on his arm. With the kind of dedication this guy has, there is no knowing what he will do next. How do you induce fistula? This involves constantly piercing your arm with a needle until you create a path of scar tissue in your body. Blaine did exactly that, probably it took him years to achieve this kind of result but he did it. This one here is a great magic trick that left Jimmy Fallon and Spectators really amazed. It was also performed on Jimmy Fallon’s show. It all started by giving jimmy his deck of cards. The cards had already been shuffled. You can see Blaine clearly do this as he engages a talk with Jimmy and the other spectators. He then asks Jimmy to take out 5 cards. Out of those cards, Blaine asks Jimmy to pick one of the cards and remember it. Blaine then managed to name all 5 cards that Jimmy had picked and also the card he was thinking of. He did this by mind reading. If you pay close attention when Blaine is doing the shuffling, you will realize that he is not really shuffling the cards. He is doing what we call false shuffling and I must admit he is very good at it. He is doing this while talking to his spectators and Jimmy. This is to make sure that they don’t really pay much attention to how he is shuffling the cards. To do this correctly, Blaine had already memorized the whole deck of cards. So, he knows where each card is positioned. When Jimmy picks the five cards, Blaine just looks at his deck and instantly knows all five cards Jimmy has. The next challenge is knowing which card Jimmy is thinking of, Not really a challenge but he has to pay close attention to Jimmy’s body language. This is the reason he names all cards in Jimmy’s position and lets him repeat after him. When doing this, he knows the card Jimmy is thinking of by carefully noticing slight changes in Jimmy’s facial expression when he mentioned ‘Seven’ and ‘hearts’. Blaine is very good at reading body language. This is the reason he was able to pull this off without any problems.